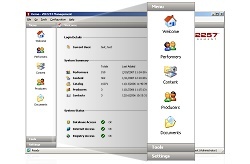 ZEI 2257 offers you powerful common sense record management features that are easy-to-use and understand. The intuitive nature of ZEI 2557 will enable users of any level of computer experience to create, capture and maintain records effortlessly. All of the program's main functions are logically grouped together to provide you only with the options that are relevant to the task at hand. Our unique workflow design allows you to add related information to a record right on the spot, enabling you to work more efficiently. 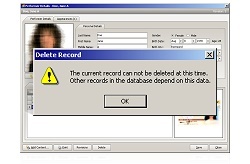 All records are checked for duplication upon entry and are cross-referenced for dependency upon deletion to ensure system integrity. Information can be inputted via standard windows file selection dialogs, scanned or added by dragging & dropping onto the appropriate area. Process and analyze data more effectively by tailoring information displays to suit your individual needs. 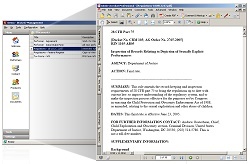 Easily organize and maintain commonly used business documents such as Data Intake, Model Releases and other forms from a central location to ensure uniformity throughout your organization. 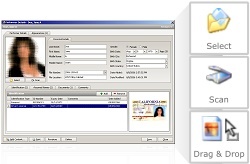 Integrated Login Security ensures only authorized personnel have access to your critical business records. 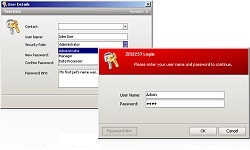 The Enterprise Edition expands on this functionality by allowing you to create role based accounts for even greater levels of protection. Built-in utilities help to protect your data by allowing you to create, track and to be automatically reminded of when to perform database backups.